In November of 1963, I turned eight. My father promised to take me to Franklin Field, in Philadelphia, for my first Eagles game. My two favorite players for the Eagles were a scrawny wide receiver named Tommy McDonald (5-9, 175 pounds) and a running back named Timmy Brown (who would later play Spearchucker Jones in the movie Mash). The quarterback was Sonny Jurgensen, who months later would be traded to the Redskins. My father was disgusted by Rozelle’s decision, and refused to take me to the game. (Tommy McDonald, according to a Sports Illustrated story, couldn't stop crying the whole game.) Since the season was already drawing to a close, he told me we’d go the next season. That would be 1964, my first big year as a Phillies fan. 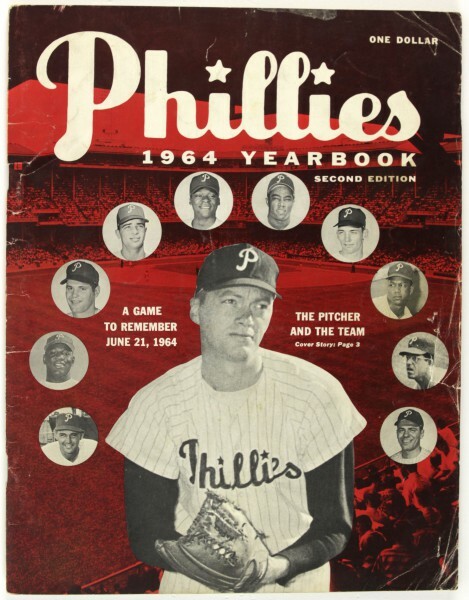 Behind Jim Bunning, Johnny Callison and Richie Allen, the rookie of the year, the Phillies held onto first place almost the entire season. In September, my father bought World Series tickets. But the Phillies suffered an epic collapse. Ahead by 6.5 games with only 12 games left, they spiraled into a 10-game losing streak. 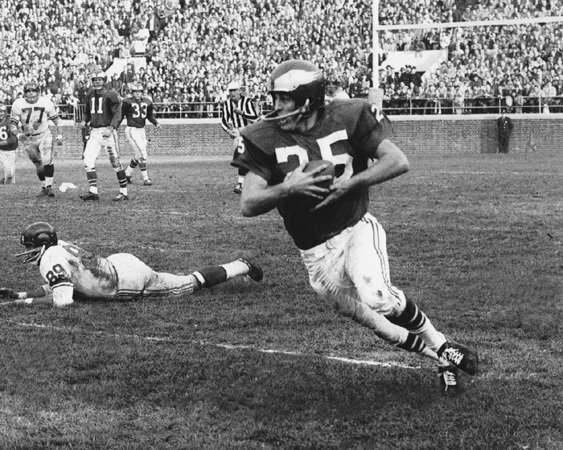 (And if you’re wondering as you watch the Superbowl why Philadelphia fans seem to have such a chip on our collective shoulder, that collapse is seared into our memory, even of those born long after ‘64. The last day of the 1964 baseball season, the St. Louis Cardinals had the passed the Phillies in the standings. But if the hapless Mets could beat the Cardinals, the Phillies would pull into a tie. There was still hope. On that October 4, I was at Franklin Field with my father. It was my delayed birthday present. The Eagles were beating the Steelers. Every few minutes, they would announce on the PA system the score from Busch Stadium in St. Louis. The Cards were clobbering the Mets. All I remember from that football game is the death of the baseball season. On that somber note, bridging the ‘63 Kennedy assassination with the ‘64 Phillies collapse, I look forward to watching the Eagles in the Superbowl tonight.